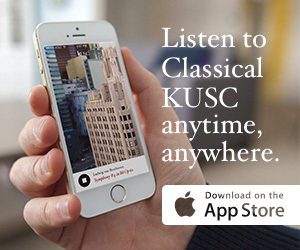 All week long, we’re celebrating KUSC Great Outdoors Week with a series of blogs focusing on the behind-the-music stories of composers and the inspiration they found in the natural world. Check back all week as we publish new stories designed to match each day’s music. There’s nothing like exploring a National Park, and when it comes to inspiration, they can’t be beat. Coast to coast, there are now sixty-one of them. Officially called protected areas, they spread across the country from Florida to Maine, Massachusetts to Washington State, and onward to Alaska and Hawaii. Some of the most dramatic ones are here in the West, with some real beauties right in our own California backyard. As we celebrate the Great Outdoors this week, here’s some music that was directly inspired by our beautiful parks. One of the first to glorify a National Park with some terrific music was arranger-composer Ferde Grofe, who is perhaps most well known because he arranged George Gershwin’s Rhapsody in Blue. Not long afterward, he wrote his Grand Canyon Suite, which premiered in 1931 under the skilled hand of jazz bandleader Paul Whiteman. Walt Disney used the piece in 1958 for an Oscar-winning documentary short on the Grand Canyon. Someone who actually worked in and around Yellowstone Park wrote an impressive violin concerto back in 2007. Jett Hitt is a composer and wilderness outfitter. That’s someone who takes people in and out of all the park’s choice spots on horseback. He’s done it for years, but he also studied music in Europe early on. His violin concerto, with Yellowstone its muse, is a gem that many who have been to the park rave about. It takes them right back to the majesty of one of America’s truly magnificent natural wonders—and the country’s first National Park. Most recently, contemporary composer Stephen Lias crowd-sourced a rather unique National Parks music project. With just $6,500, he visited twelve parks and wrote individual works dedicated to each—the likes of King’s Canyon, Sequoia, Rocky Mountain, and Denali. Through the light and shadows of his music, he captures the spirit and personality of the twelve wilderness jewels from which he drew his inspiration.